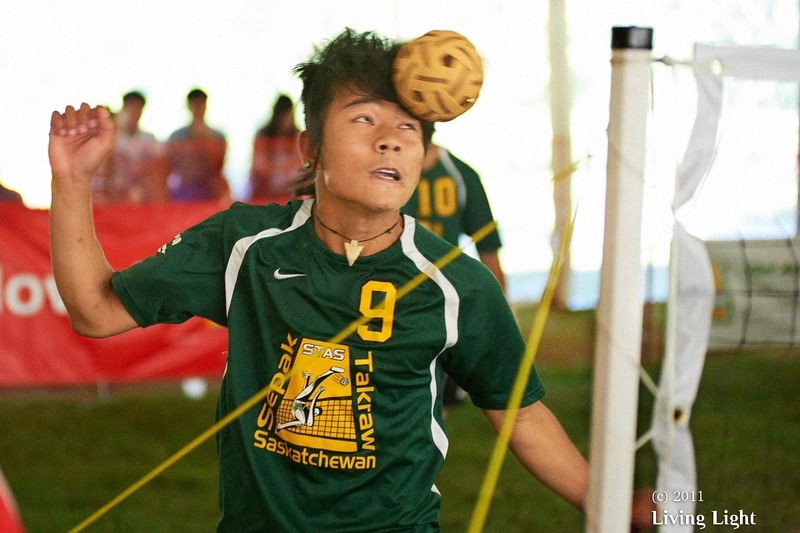 Team Sask earned a Silver Medal in last year's national Sepak Takraw Tournament hosted in Regina. 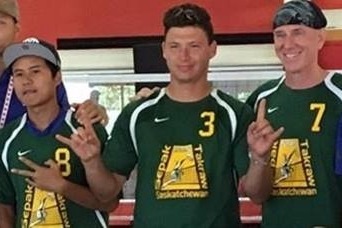 Canada's winning-est team in the sport, Saskatchewan has earned either a Gold, Silver or Bronze medal at almost every national tournament since 1998. Getting to and competing in the annual event was easier when it was hosted in the west - Regina, Edmonton, or Calgary - over the years. But this year, Team Sask is anxious to go for gold at the nationals in TORONTO, ON, August 4th, 2018 ... it is the first time that the event is finally being hosted in eastern Canada. Sepak Takraw Saskatchewan (STAS) truly wishes to support Ontario's planning committee and Takraw Canada by fielding a team, but with no funding from Sask Sport and no sponsorship as of yet, STAS is now hoping to raise $600 for each of the 4 players, for a total of $2400, for air fare to Toronto, through donations. 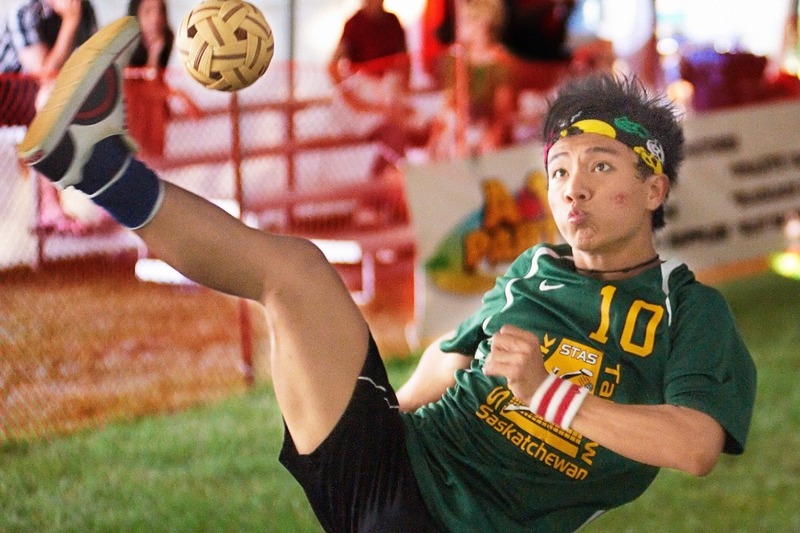 Win Naing San, Tekong (Server), has competed for Saskatchewan in at nationals since 2008, and for Team Canada at international tournaments in Malaysia and China. 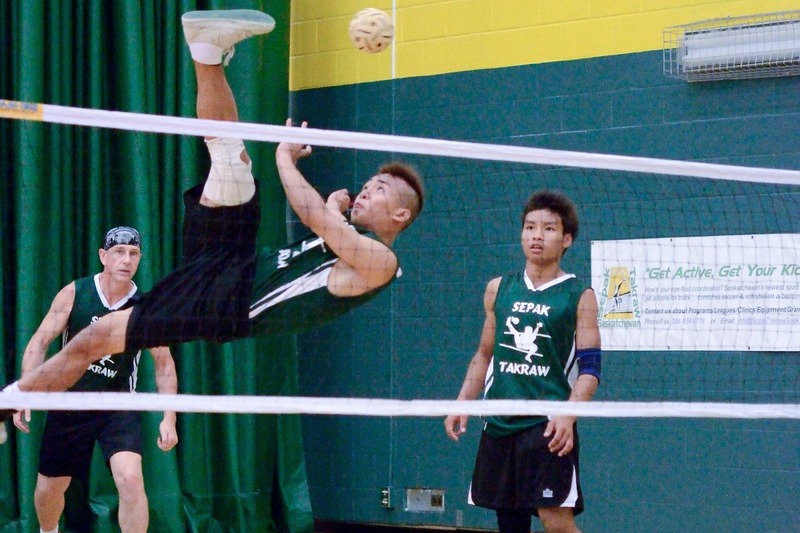 Tien Zaw San, Setter/Blocker/Secondary Spiker, has competed for Saskatchewan at the nationals since 2008, and as of yet has no international tournament experience. 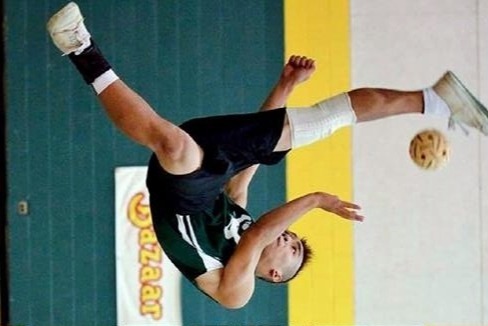 Layderwin Lahsoe, Pimary Spiker, has competed for Saskatchewan at the nationals since 2011, and for Team Canada at an international tournament in Las Vegas just last year. Richard (Rick) Engel, Coach/Secondary Server & Setter, has competed for Saskatchewan at the nationals since 1998, and for Team Canada in 12 international and world championships tournaments in USA, Malaysia, Thailand, Laos, China, and France. 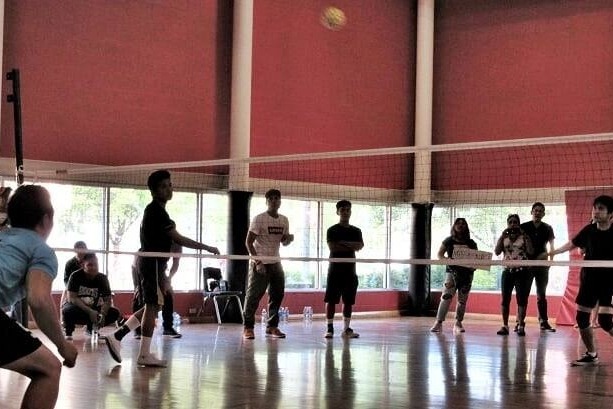 It was an honor to, once again, represent Saskatchewan at the National Sepak Takraw (Kick Volleyball) Championships, this year in Toronto! A HUGE thank you goes out to those that contributed to enabling the team to get there! It was a highly competitive and fun event! Saskatchewan Thunder did very well, we were among the top 4 teams of which any one of us could have went to the gold medal match, it was that close, but in the end we came in 4th place. I'm still proud of how we played ... especially when I (Rick) was playing with guys a third my age, ha, ha! 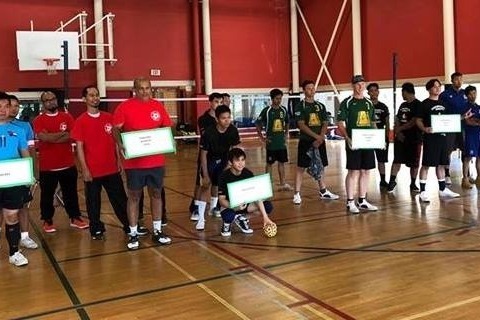 Sepak Takraw Sask thanks all the kind supporters who have donated so far to get a Saskatchewan team to the national tournament. Though it has been a challenge, and team plans have had to change due to amount of funds raised, Saskatchewan will still be represented in Toronto on August 4th, with OLEG GULDEN now joining Rick Engel and another player TBA. 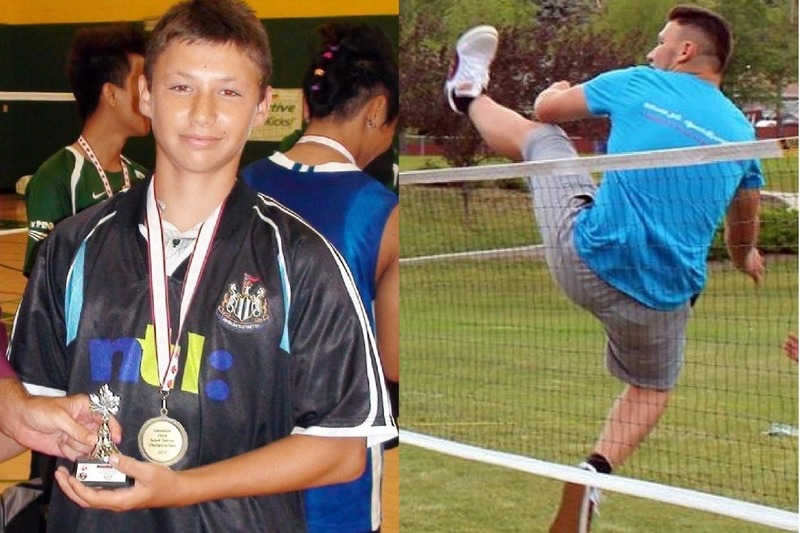 Oleg has been involved in Sepak Takraw since 2011 as a Youth in grade 7, then earned a Gold Medal and MVP in the Junior Division at the 2012 Nationals, Gold Medal at Nationals in the Senior Men's Division in 2014, and a Bronze Medal in 2017.